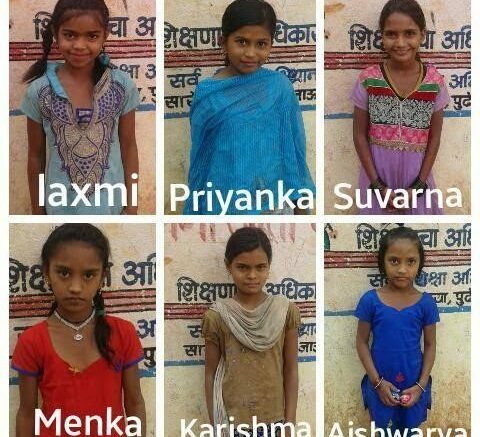 Aishwarya (7 years), Laxmi (10 years), Menaka (11years), Suvarna (10 years), Priyanka (11 years), couldn’t continue their schooling because they had to take care of a younger sibling at home and soon playing on streets all day turned into a habit. SNEH Foundation convinced the parents along with the kids and got them enrolled into the government school. We believe not a single child should be deprived of education as that’s the only thing which will sustain and help them live a healthy and happy life ahead by encroaching their poverty and illiteracy.